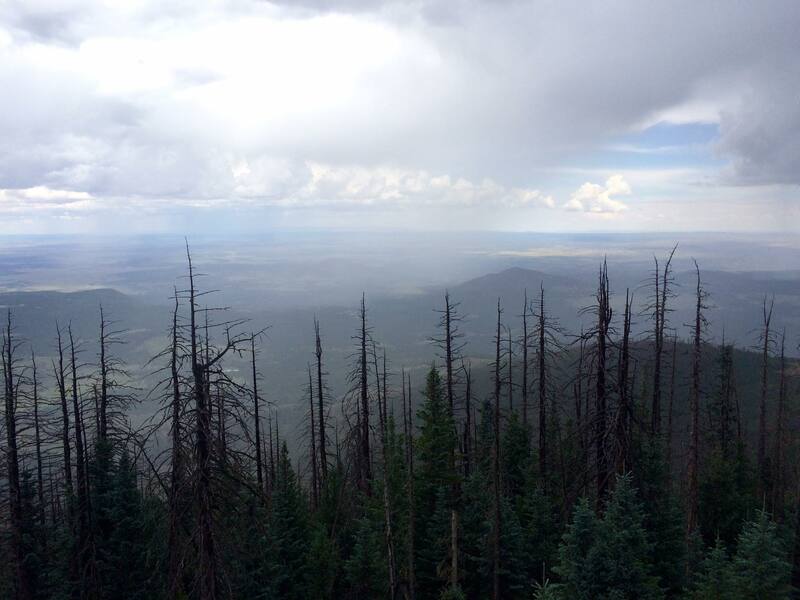 Looking for a running/hiking challenge in the Flagstaff area. Look no further! The Flagstaff Fearsome 4 is for you! 4 Peaks, 34 miles (55 km), 10,307+ feet (3141 m) of elevation gain in a single day (Ultrarunner) or 2 days (Trailrunner & Hiker). Training and acclimation to elevation is highly recommended. All distances, elevation gain, elevation may vary depending on GPS used. 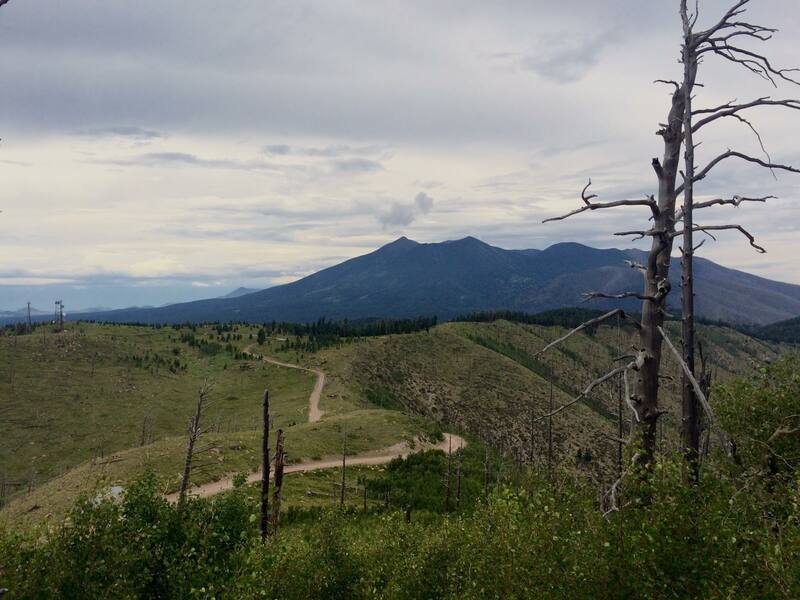 The idea of running several peaks in a single day in the Flagstaff region was born a few years ago when Scott Bajer and I were coming up with some cool ideas for runs for the Flagstaff Ultrarunning Club similar in craziness as the Elden Vertical 2400, the Elden Quad Buster. The idea was forgotten and did not turn into a reality until now! The idea sparked back to life at The King/Queen of The Peaks group run this July 2015 when talking with Sean Meissner. We started brainstorming and the name “The Flagstaff Fearsome 4” was born. This challenge is for trailrunners, hikers and ultrarunners. 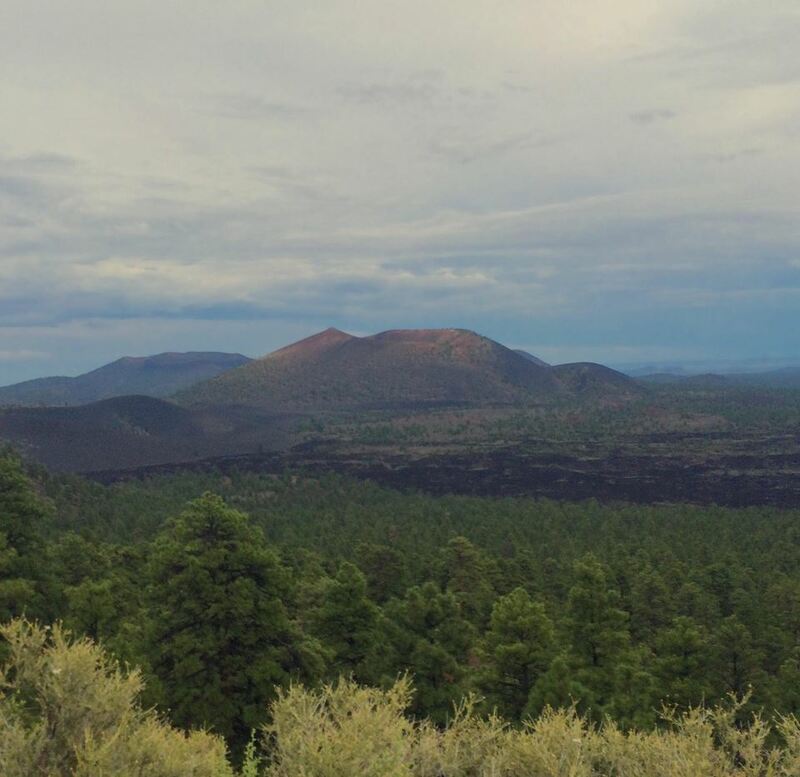 It involves cresting 4 Flagstaff popular mountains, Humphreys, Kendrick, Elden and O’Leary in a single day (0:00 am to 11:59 pm) for the Ultrarunner status and 2 days (not necessarily back to back) for the Trailrunner and Hiker status. A GPS watch is highly recommended but not mandatory. A single day is defined as being from 0:00 am to 11:59 pm on the same calendar day. Hiker and Trailrunner Status can be achieved using 2 different days, not necessarily back to back. This is a runner and hiker challenge only, the use of bicycles is NOT allowed. 5/23-7/11 2018 Humphreys and Elden closed due to fire danger. 180 toward the Grand Canyon, turn left and drive up Snowbowl rd, park on the Heart Prairie Lodge Parking lot on the left. The Trail Head is right there! Drive 180 toward the Grand Canyon, make left on 245 (forest road) at Mile Marker 230, continue on 245 for 3 miles until intersection with 171, turn right on 171 for 4 miles, turn right at Kendrick TH sign. 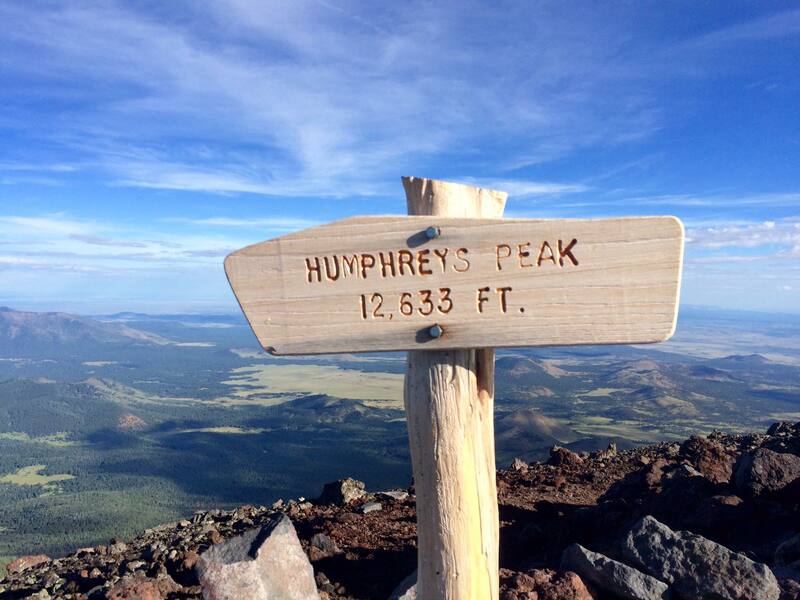 Flagstaff Ultrarunning Club is Flagstaff’s premier group for long-distance runs in the San Francisco Peaks (7000 ft – 12,000ft +) and the Grand Canyon. The club has organized few events throughout the year including the Mormon Fatass 50 miler, the King of the Peaks 55K, the Elden Quad Buster 10K and the Elden Vertical Challenge. As of 2013, the club has over 200 members from various levels living in town and across the country. Flagstaff Ultrarunning is home of some serious elite ultrarunners such as Rob Krar, Jason Wolfe, Eric Bohn, Brian Tinder, Ian Torrence and Emily Harrison amongst others.